I’m just about to send out a newsletter; are you on the list? This one is about the science behind why many physicians refer to your calf muscles as the “second heart”. I have a link for you with all the medical details, but here are the basics. When you work out the calf muscles in your lower leg, you are accessing the greatest amount of blood vessels in your body–and those blood vessels are the “vascular” part of cardiovascular. So when you get that area working, you create more circulation in the blood vessels which can then more easily pump blood back up to your heart, thereby taking part of the load off the heart. And what’s the number one killer of both men and women? Heart disease! So next time someone asks if your are getting in cardio workouts, you will have the knowledge to respond, “Do you mean cardiovascular workouts?” and explain why. 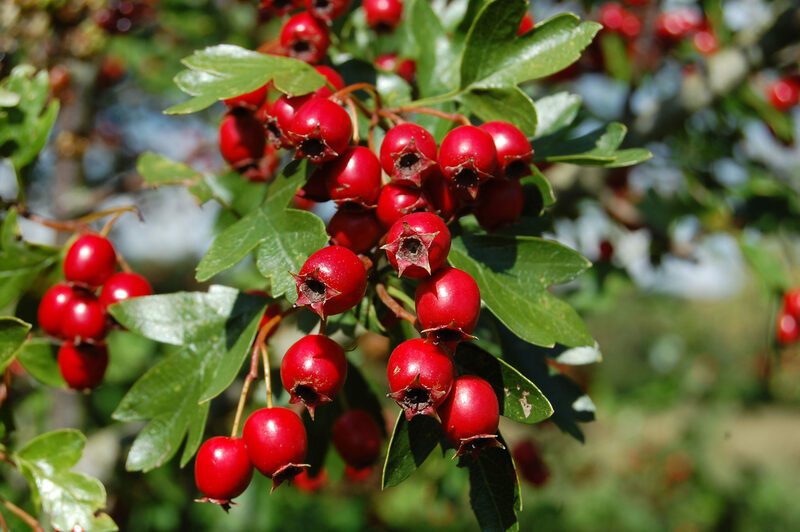 Given that heart disease is the number one cause of death, you also might be interested in my first herbal choice to support your heart; hawthorn berries, which I have included a picture of for you. But save your money if you’re thinking about buying some in pill or capsule form; a tincture or tea is the way to go if you want the heart-protective benefits. I have more information about hawthorn berries and lots of other ways to use food and herbs as medicine in my book, Take Back Your Body.